How can the new Star Trek series be a success? A scene from Star Trek: The Next Generation. A new Star Trek series that can be commercially successful will have to do two things. First, it has to appeal to fans of the “old” Trek. Goodbye J.J. Abrams-verse. Hello, Gene Roddenberry. It is a long-standing trope on Star Trek that multiple parallel universes can coexist. Just because Spock went back in time and kicked off a new timeline (that is really upsetting to most Trek fans) doesn’t mean that the one that we are familiar with has gone anywhere. Pick it back up. Start it off with a humanitarian crisis and a Federation in mourning for both the now destroyed Romulus (and Remus) and the “deceased” Spock. In fact, you could use this to combine elements that worked from the original series, The Next Generation, Deep Space Nine, and Voyager. Have a small group of ships (maybe a USS Titan commanded by Captain Riker?) tasked with exploring and working to rescue those star systems left reeling in the wake of the destabilization of the Romulan Star Empire. You could have the exploration elements that always worked so well in each of the previous Trek series. You could also get back to the heart of Roddenberry’s original “Wagon Train to the Stars” idea in having refugee ships escorted by a Starfleet ship through hostile territory to colony worlds. You could also show the political and societal effects of worlds dealing with their newfound “freedom” a la DS9’s Bajoran storylines. Second, take to heart the lessons learned in recent science fiction TV shows. Star Trek isn’t Battlestar Galactica. But Battlestar Galactica showed us that hard, topical sci-fi is not only possible but can be extraordinarily successful. Star Trek needs to find the balance between episodic and serial fare that worked so well for Battlestar Galactica, not to mention Stargate-SG1 and Atlantis. Have overarcing storylines that are chipped away at while still having an “adventure of the week.” My absolute favorite moments in past Trek series have been when they reference past occurences in the series. DS9 did this really well with its ongoing Dominion War. 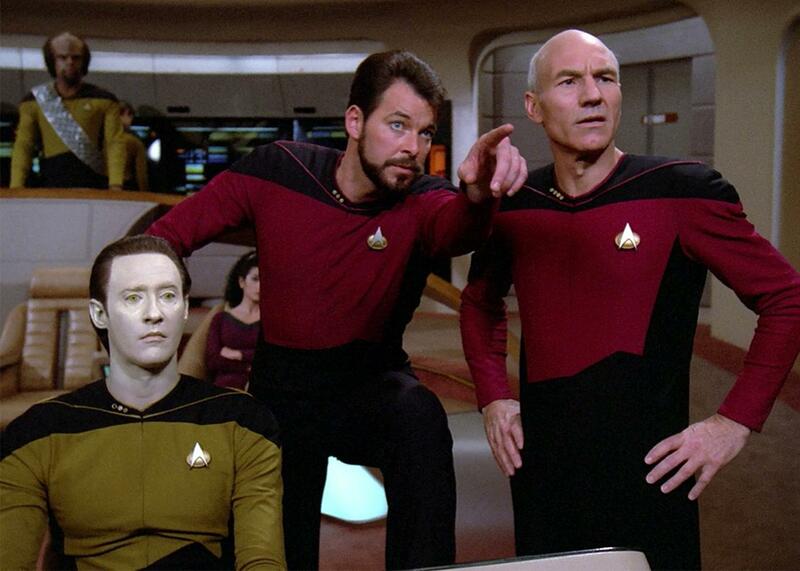 TNG did it for a few episodes with the two-part “Best of Both Worlds” and “Family” coming right after. You actually got to see the aftermath of Picard getting assimilated. It felt like a huge payoff and was an amazing character moment. It would have been a waste had the next episode shown the Enterprise warping off into its next adventure. I watched the rest of that series hoping for more like it and, on the occasions when I did, was ecstatic. Voyager flirted with it in episodes dealing with the Borg and with the “Year of Hell” with varying success. I will say “Year of Hell” stands as my favorite episodes from Voyager. Enterprise tried it as well with both the Xindi storyline and the Klingon “mutation” storylines but, well, truth be told, I had mentally checked out of the series by that point. It can’t just be done to do it; it has to be done well, with conviction. Ultimately, it can’t be more of the same. Whether we’re talking about a show set in the Abrams-verse or a throwback to the episodic “monster of the week” shows we’ve gotten from Trek. Have it not necessarily be the Trek we remember but with enough that it, at the end of the day, most definitely is. Additionally, as a bonus, I’d suggest throwbacks, callouts, and nods to the fans who have stuck around. And get as many of the characters from previous shows as possible back in for one or two episodes. Sign a couple on for extended recurring character runs. Give us some closure for character arcs from Nemesis (no, we can’t pretend it didn’t happen), DS9, and Voyager. Television series: What TV series were cancelled too soon? Star Trek: In an all-out war, which star fleet would win, Star Trek or Star Wars? Science Fiction: Why did George Lucas fail in making a good film of The Phantom Menace? What can directors do to avoid this?